Neighbours was started by the Branken family who say: “We are a rather ordinary family doing some extraordinary things. We believe as Christians that God is extremely concerned with the brokenness in our city and nation and that He has called each one of us to get involved in making a difference. To bring change, we need to see the future, prepare for the future and then become the future… or in the words of Ghandi “we must become the change we want to see in the world”. As an organisation, we want to see a world in which the rich do not tolerate extreme poverty and inequality. We want to see many people actually laying down their lives of comfort and convenience for the sake of bettering the lives of others. Seeing people freed from poverty, inequality, racism and exploitation is more important than fulfilling our lust for more things! We want to be part of a society in which people are valued more than things. We want to see the god of consumerism in South Africa bowing it’s knee to a love motivated revolution which results in freedom from oppression and exploitation. We want to see this for all people, regardless of class, citizenship, race or religion. We dream of equality in every sector of society. We believe that if the education system is not OK for a rich kid, it is not OK for a poor kid. The same goes with healthcare, housing, security. The same goes for rural kids and inner city kids. The same for black kids and white kids. We are not more valuable than the least valued in our society. We are doing our lives in a new way. We are going to live our dream and see this reality briefly described above happening around us. We hope others will join us and this will happen around them too. Who knows, very soon, the world can be a different place! For us practically being a good neighbour can look very different each day. Sometime, and sadly way too often, we find ourselves consoling friends who have been hurt or abused or lost loved ones often as a result of uncaring and unjust systems. 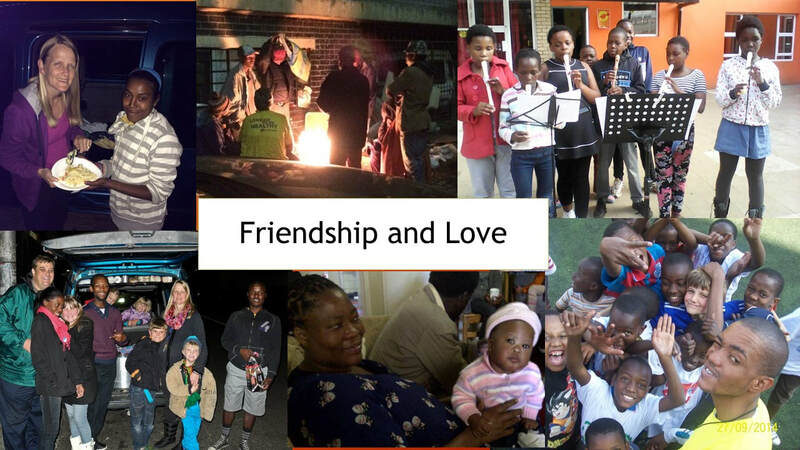 These are just some of the ways that we have tried and are trying to become better neighbours and to create the better world we dream of as we seek to become a sign of hope.